Mix & Match - The key to eclecticism is mixing and matching. The heart of a collected look is not being "match-y match-y". 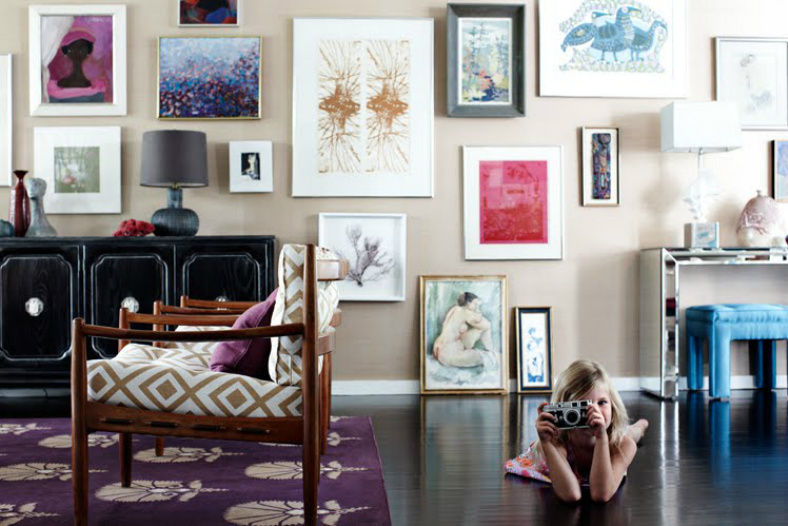 Make sure each piece is something you love and not a part of a large collection. In an eclectic design, your side table should be a different style than your coffee table. Your pillows should not be the ones that came with the sofa, they should be a pattern you fall head over heals for. It's all about finding what you love and collecting over time, or making it look that way. Be bold, fearless, and design with what you love rather than designing to impress. Collected Details - It's often times the little things that we collect & find over time that can tell the greatest story of our spaces. 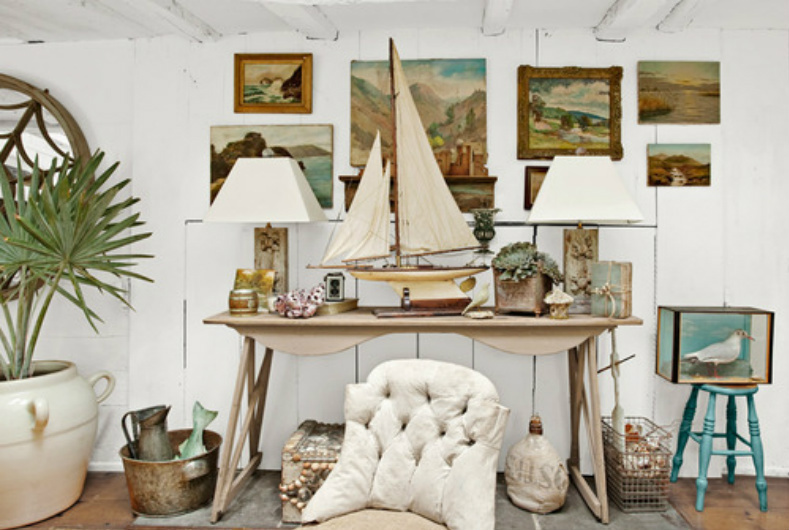 You might find a beautiful shell on a meaningful vacation or pick up a great find at a flea market. These little details that are collected over time come with a story and make a house feel like a home. Be Unexpected - Don't you love a great conversation piece? It can be humorous or serious, but either way incorporate something that gives your guest something to talk about. Unexpected details can be in the form of a quirky coffee table book or even by finding new uses for old things. Grounding - With all this mixing and matching and added details, the tricky part is tying it all together. 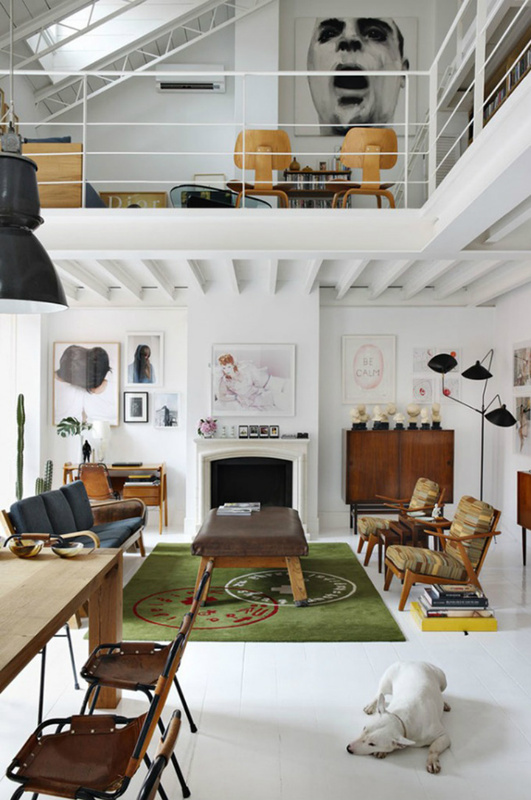 Eclectic design is definitely not a jumbled assortment of random items, but a planned and deliberate design. A shared theme or component should still tie everything together. 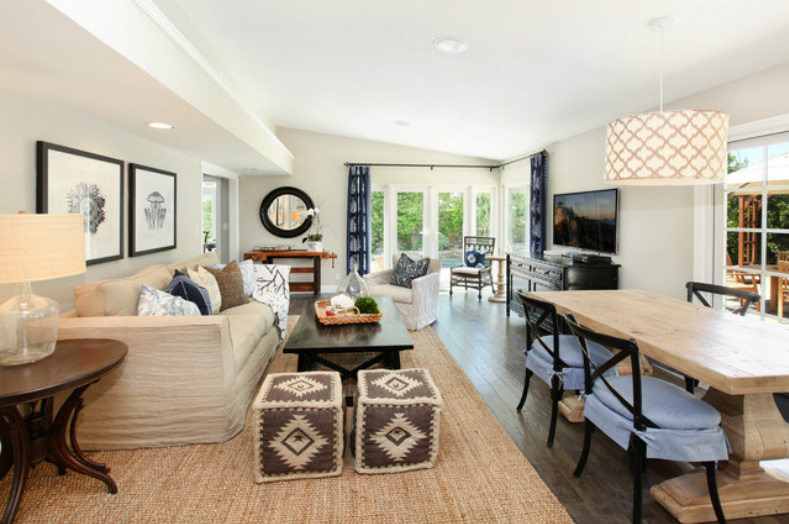 A room style in an eclectic way is brought together when furnishings relate to each other in color, pattern, scale, texture, finish and or shape. Personal Style - Make sure it's your own personal style! Eclecticism can vary from one extreme to another. Just make sure that it's yours and that it tells your story.